Worldwide Supply offers a complete portfolio of certified pre-owned Cisco products such as Cisco Routers and Cisco Switches, providing the highest levels of speed and availability. When you select to buy used Cisco equipment, you’re getting guaranteed reliability with a world-renowned brand and impeccable service from Worldwide Supply’s maintenance team. The secondary market for IT networking equipment has become a multi-billion dollar market because of how well used Cisco network equipment continues to perform — even years after its initial use. Value depreciation happens, but it’s the performance and reliability of the equipment that really matters in your network environment and operations. With other products, like vehicles, the items can lose as much as 10 to 20 percent of their value the second they’re driven off the sales lot. Over time, the product continues to depreciate, so much that the original owner must be aware of initial investments — it’s possible for them to lose a considerable amount of money just by holding onto the product for longer. Secondary or additional owners, however, can get the same product for an incredibly low price, while also getting good value in return. Vehicles are a great example because even though they do depreciate over time, they don’t become any less useful, provided they are adequately cared for and maintained. The same can be said of secondary tech and IT networking equipment. OEMS or original equipment manufacturers tend to sell new hardware and equipment at a reasonable price yet tack on higher service and maintenance contracts. Ultimately, this increases the overall cost of upgrading or implementing new hardware and systems. Sometimes the increase can even be so much that an enterprise is forced to avoid new equipment and costly upgrades altogether or must adopt lesser, sub-par hardware instead. Unfortunately, going with alternative hardware that is not as reliable or efficient can have a negative impact on business operations. The service contracts can also put enterprises and organizations in a strange position, forcing them to remain loyal to a particular set of equipment for lengthy periods. Not only is this unfortunate on the monetary front, but it also leaves them waiting to upgrade their equipment. And since modern technology is advancing at incredible rates, that could put you in a dire situation, outfitted with old, unsupported equipment with higher costs and service fees. Not that there’s anything wrong with using end-of-life hardware, especially when it’s still viable. It’s just that you don’t want to be paying a premium for hardware and equipment that’s been phased out of official support channels. You’d benefit more by purchasing from a provider who offers cost savings on this type of legacy equipment. For many of these scenarios, secondary and pre-owned equipment is the solution, especially for businesses with limited capital. With offices in New Jersey, California, Hawaii, Massachusetts, Mexico, Netherlands, New York, North Carolina, and Texas, Worldwide Supply will provide you with speedy delivery and global support for certified pre-owned and refurbished Cisco networking equipment. Worldwide Supply is also proud to be ISO 9001:2008 and TL 9000 Quality Management Systems Certified. When you work with us, you’ll know you’re getting only the highest quality in refurbished Cisco network equipment and support services. Why Choose Cisco Network Equipment? Cisco is a well-known company most famous for supplying network equipment and reliable computing solutions for the enterprise sector. At the close of 2016, revenue from the Ethernet switch sales market tallied at 25 billion U.S. dollars. Cisco Systems Inc. was the leading vendor and controlled over 55 percent of the global Ethernet switch market throughout the year. The company is a formidable force in the IT networking market — and for good reason. All Cisco brand products follow a strict set of guidelines. Each device or configuration is reliable, manageable and user-friendly, scalable, diverse and readily compatible with a wide range of networking solutions. Interoperability is a huge concern, especially when integrating modern solutions with legacy equipment. More importantly, however, Cisco hardware holds up well in reliability and performance over time, given they are taken care of properly. As much as you’d love to, you can’t always have the latest and greatest technology, especially when you’re talking about incredibly costly networking hardware and related systems. Still, that doesn’t mean you are willing to sacrifice performance just to save a buck. That brings us full circle to our inventory of Cisco brand hardware and equipment. You benefit from cost savings when purchasing from Worldwide Supply whether buying new, refurbished, used or end-of-life products. Yet, you are never burdened with sub-par devices, only the best of the best. The Worldwide Supply inventory is expansive and includes just about everything in Cisco’s product line. Worldwide Supply is available as your reliable network equipment reseller. 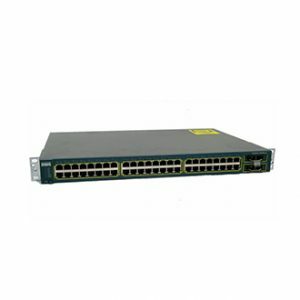 Worldwide Supply’s inventory includes Cisco’s 800, 1800, 1900, 2800, 2900, 3800, 3900, 7200, 7300, 7600, ASR Series, CRS-1, ESR10000 and Cisco GSR 12000 Series Routers. We’re also your best source for router solutions that are no longer supported by Cisco. Let us provide an affordable solution to those Cisco end-of-life notifications by offering fully tested, lifetime warrantied used Cisco networking equipment. Consider the full range of used Cisco networking equipment by also including CMTS in your setup, including the Cisco UBR 7200 and 10000 Series. Maintain the quality and reliability your network needs, while saving money, when you buy used Cisco networking equipment and switches. Choose from a wide range of Cisco refurbished network equipment to support enterprises and service providers with intelligent Ethernet services. You can also enable Web-based monitoring and quickly scale your operations as you grow while maintaining quality and performance. 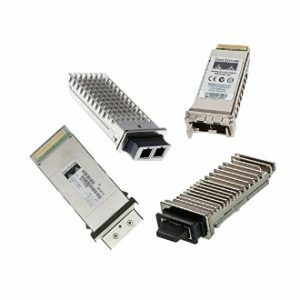 When choosing a CMTS, you want to be sure you’re getting something capable of the processing and output necessary for your network. It is the sole driver for cable signal conversion to IP before data packets are sent out to the internet. Therefore you need something reliable, capable and extremely efficient. 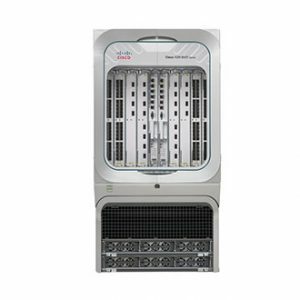 Worldwide Supply carries the best Cisco brand CMTS systems out there, including the UBR 7200 and UBR 10000. You can be sure that pre-owned equipment from Worldwide Supply offers a value-oriented and performance-ready investment. If you want to grow your network at a significantly reduced cost, then our end-of-life Cisco products, which sell by as much as 80 percent below OEM pricing, are an ideal solution. Network protection and cybersecurity are the most prominent concerns you’ll have when deploying new systems. According to ISACA International, only 38 percent of global organizations are prepared to handle a sophisticated cyber attack. Furthermore, more than 50 percent of respondents said they believed a successful cyber attack would occur against their network sometime within the year. Cisco’s renowned security equipment allows you to better protect your network as you scale up by adding new equipment, upgrading existing hardware and introducing new players. If you open a new office, for example, you’ll need to be sure your current security setup can accommodate all the new workers who need access to your network. Luckily, Cisco’s security solutions are ideal for enterprises large and small. But if you’re in the market for them, you won’t find better savings anywhere else. 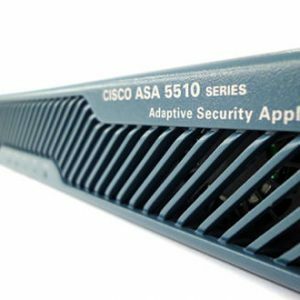 Worldwide Supply offers the Cisco Adaptive Security Appliance 5500, with all the care and excellence you’ve come to know from our company. We vet all pre-owned systems and provide only the best of the best. Reliable telephony equipment, which today often incorporates both voice and data networks, is crucial to the operations of many modern businesses. One concern with such equipment is call quality, especially when aiming to present a professional communication environment to clientele. You must also guarantee that the contents of every call are safe and secure and that connections are reliable. You don’t want to be dropping calls in the middle of a big sale because your hardware is on the fritz. 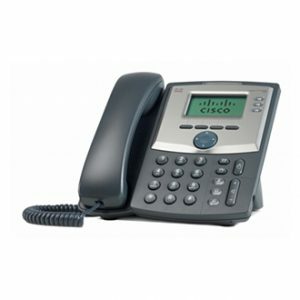 When you buy used Cisco phones and IP equipment, you are taking advantage of our best-in-class IP phone selection. Worldwide Supply’s inventory runs the gamut from gateway to MCS to unity systems and more. 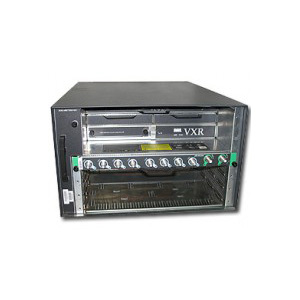 Cisco ATA — We carry a surplus of both new and used ATA 186 and ATA 188 models. Cisco Gateway — Worldwide Supply offers a complete line of VoIP (voice over IP) hardware products including Cisco VoIP Gateways, Media Convergence Servers (MCS) and IP-enabled phones. Cisco IP Phones — The heart of any telephony or communication network is, of course, the hardware you will be using to converse with clients and various parties. Our IP phone inventory includes Cisco Unified IP Phone 7906G and 7911G, Cisco Unified IP Phone 7931G, Cisco Unified Wireless IP Phone 7921G and 7925G, Cisco Unified IP Phone 7940G, 7941G, 7960G, 7961G, Cisco Unified IP Phone 7942G, 7962G, 7945G, 7965G, 7975G, Cisco Unified IP Conference Station 7936, 7937G, as well as end-of-sale and end-of-life phones like the CP-7910, CP-7940, CP-7660 and CP-7912G models. Cisco MCS — Worldwide Supply offers a surplus of used and new MCS systems. Cisco Unity — Cisco Unity devices merge the gap between traditional voice and digital communications, adding support for a variety of channels including email, web clients, mobile devices and instant messaging. We offer a wide selection of used and new surplus Cisco Unity products. 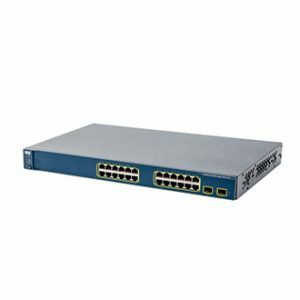 Accessories — To go along with any complete systems or equipment you might need, Worldwide Supply also has a robust selection of new and used Cisco-brand accessories like cables, power supplies, memory and more. Worldwide Supply’s selection is sure to meet your networking and connectivity needs. More importantly, the items listed offer considerable value to savings ratio. Naturally, in today’s mobile world, it makes sense to outfit your locations with a wireless-friendly setup. To do this, you need compatible wireless access points, bridges, adapters, mounting equipment and signal accessories such as antennas. Worldwide Supply has you covered on this front with an incredible selection of new and used mounting equipment and signal accessories such as antennas. Worldwide Supply has you covered on this front with an incredible selection of new and used mounting equipment and signal accessories such as antennas. Worldwide Supply has you covered on this front with an incredible selection of new and used Cisco Wireless equipment. Wireless Access Points — Worldwide Supply has an extensive supply of new and used Cisco Wireless Access points like the Aironet 350 Series Client. Antennas — When going wireless, antennas influence the signal and reliability and quality of network access and communications. A weak wireless connection could contribute to call and connection failures and other problems. Worldwide Supply carries a robust selection of Aironet Series Antennas from Cisco. Base Stations — Wireless base stations enable you to transmit the wireless signals and power your connections, and that also means they’re capable of affecting your connectivity. An inadequate or malfunctioning base station could mean downtime for everyone. Luckily, Worldwide Supply has a great selection of Wireless Base Stations that have been rigorously tested and certified as like-new in quality and performance. Wireless Bridges — Working with more extensive networks sometimes means incorporating legacy hardware into the mix. A wireless bridge will sync up two wired networks via Wi-Fi, acting as a client by logging into the primary router and modem configuration. This can help you expand the connectivity and scope of your system to other areas of your property or provide access to growing teams. 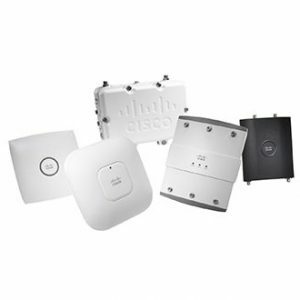 Worldwide Supply carries a healthy selection of Cisco Wireless Bridges including end-of-life and hard-to-find models. Cables, CardBus/PCI adapters, wireless microwave radios, power supplies and the necessary mounting equipment are just a few additional options available from Worldwide Supply. Even with so many businesses modernizing their systems and hardware, it can still be challenging to find legacy equipment in good condition. If you’re not ready for bleeding edge just yet, you can depend on the legacy equipment we have in our inventory, which we ensure meets our strict performance standards. We have legacy refurbished Cisco routers, security hardware, accessories, hubs, chassis and even individual products like Content Distribution Managers (CDMs). In addition to primary hardware equipment, you’ll find yourself in need of various accessories including cables, power supplies, CWDM and GBIC units and even compatible Cisco memory or RAM modules. We have a robust selection at the ready, in both the new and used variety, depending on what you need to upgrade or augment your existing system. 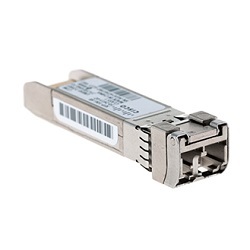 Looking for the Cisco Optical Transport 15454 or the Cisco SFP unit? We have both available in our inventory in new and used configurations. The pre-owned models are heavily vetted, and we test them continuously to ensure they are up to the reliability and performance you’re sure to need. Save yourself time by working with Worldwide Supply to purchase the Cisco network equipment your business needs. With coverage options extending to the full suite of VoIP phones, gateways, modules and more, you’ll walk away with equipment you know is fully compatible. Should you need further support or equipment, you can also be sure we supply the necessary items to facilitate the growth of your network. By purchasing through Worldwide Supply, you’re not only choosing reliable equipment, but you’re also choosing to work with a provider you can depend on for years to come. In addition, don’t forget to round out your security needs by adding firewalls, IDS units and even VPN platforms to your orders. Every security option comes with a quality and reliability assurance of the best name in used network equipment. Round out your security needs by adding firewalls, IDS units and even VPN platforms to your orders. Every security option comes with a quality and reliability assurance of the best name in used network equipment. There’s no sense in paying higher costs to buy new if you don’t have to, especially if your enterprise or business is just starting out. Pre-owned and refurbished Cisco equipment can offer you the savings you need, while still providing the level of reliability and service you expect. Expand your current network as you scale when you buy Cisco equipment — from transport and wireless support to access servers and content storage. Team up with Worldwide Supply and reduce your projected spend with pre-owned and refurbished Cisco networking equipment whether you’re in The United States, Canada, Europe, or any other region worldwide. Buy Cisco hardware and networking equipment for your business today.